They may be small, but these peppers still pack plenty of heat. Our small peppers guide focuses on chilies one inch in length or less. These are tiny fruits, but as anyone familiar with the pepper scale know, the tiniest chilies tend to pack more than your normal punch. In fact, there aren’t any mild chilies on our list. Many chilies featured in our guide are ornamental peppers with a lot of visual flair, but there are more than a few unique culinary chilies – like the lilliputian pequin and chiltepin peppers. Those pack more nuance in flavor, adding smokiness and fruitiness to the heat (among other flavors), making them perfect for all sorts of culinary exploration. The Black Pearl is quite the dark beauty. 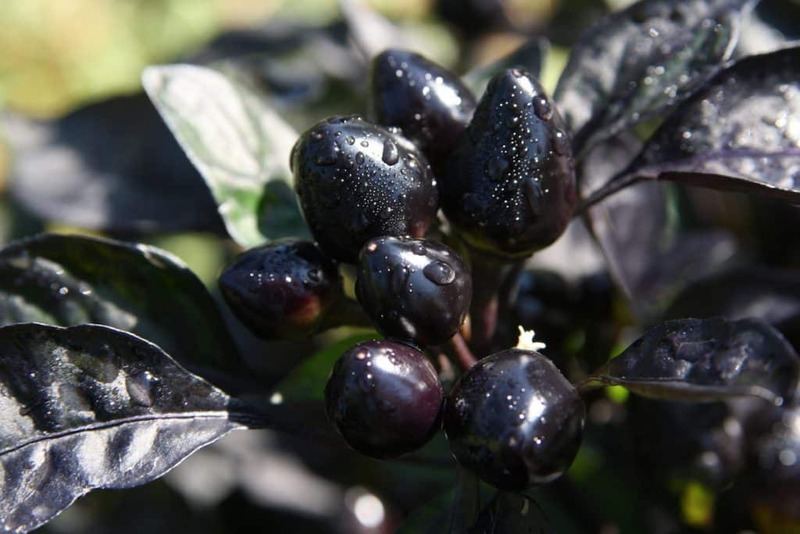 They’re tiny – no more than an inch in length – but the look of this ornamental pepper still draws the eye: black pods that mature to a crimson red amid leaves of purple and black. 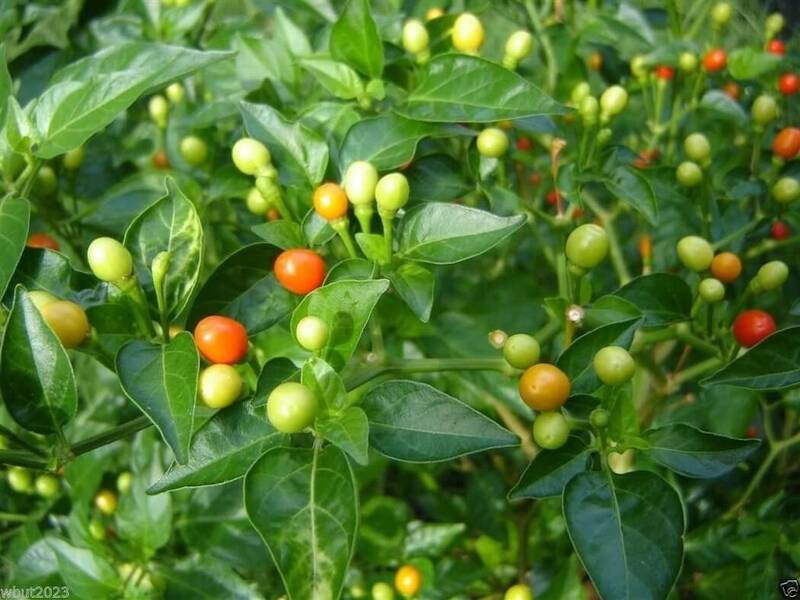 This is one stunning small pepper, perfect for dramatic landscaping projects. And while they aren’t the most nuanced of peppers in terms of flavor, their heat can certainly add plenty to a salsa. See our full Filius Blue pepper profile here. 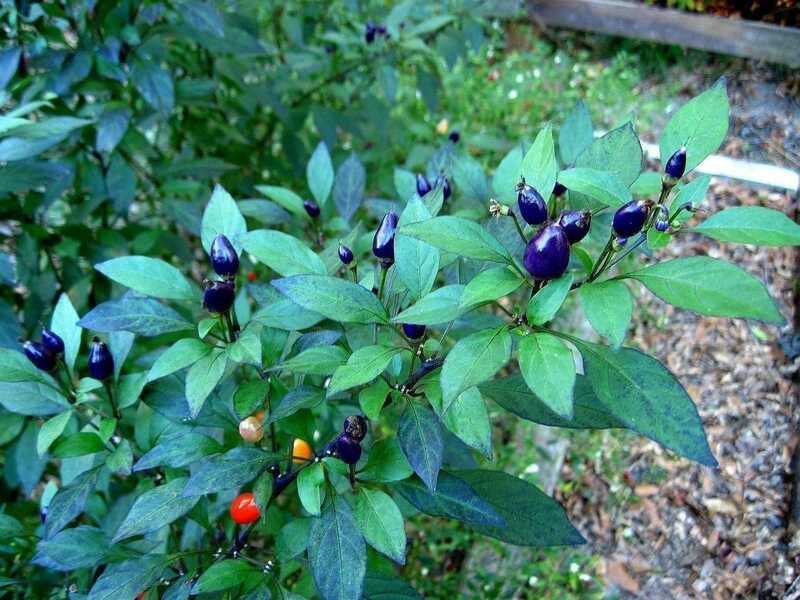 Blue hues aren’t common on the Scoville scale, but there’s plenty with the tiny Filius Blue, at least to start. It then matures on the vine to shades or purple, orange, and red. This chili maxes out at one inch in length. As with many ornamentals, they pack a punch (cayenne pepper level), but don’t provide munch nuance in terms of flavor. 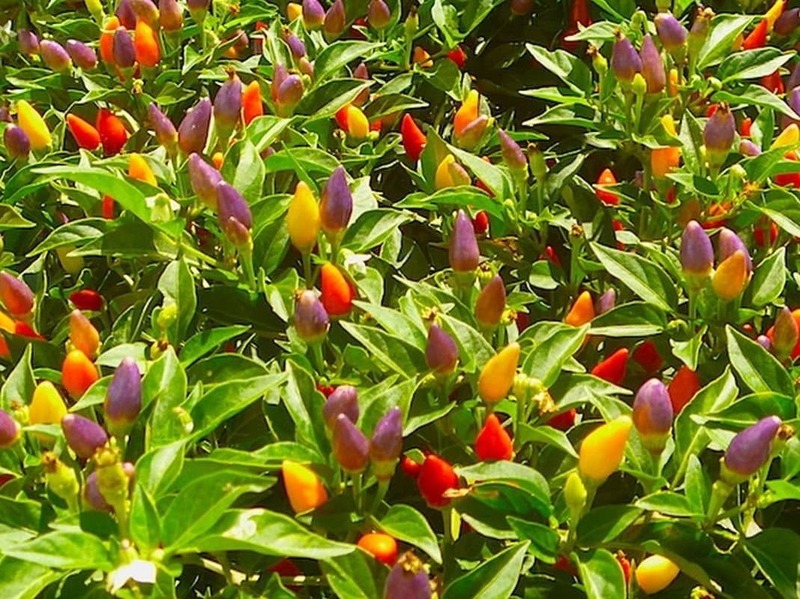 The Numex Twilight provides a wide a array of color with light-bright like conical peppers that grow no more than an inch in length. Their beauty is obvious, but they aren’t the most flavorful pepper on the list. Their fruits tends to be a little salty and bitter, though they can certainly work in a colorful salsa. These small peppers may not be the prettiest of the bunch, but the aji charapita provide plenty of flavor. 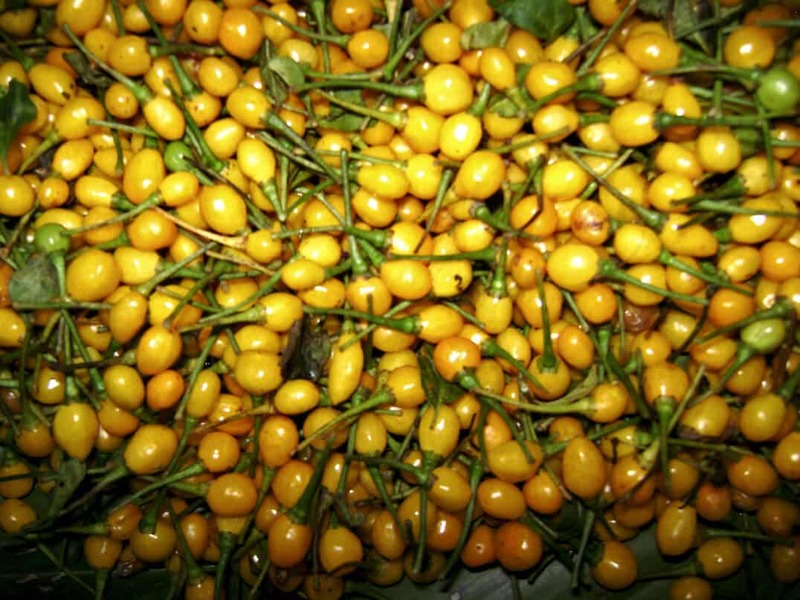 They’re much like tiny habanero peppers in taste – fruity, nearing tropical. 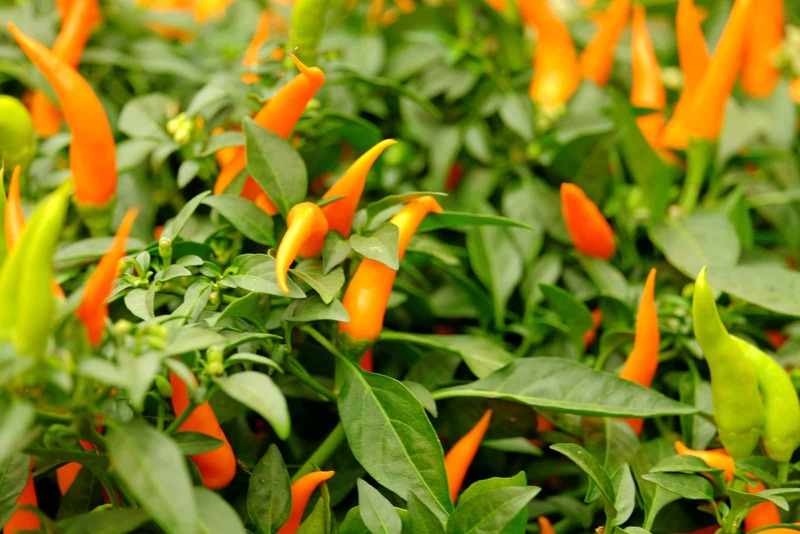 But unlike the habanero, they sit in the medium range of heat – comparable to cayenne peppers in spiciness. This is an excellent small chili pepper for the kitchen. 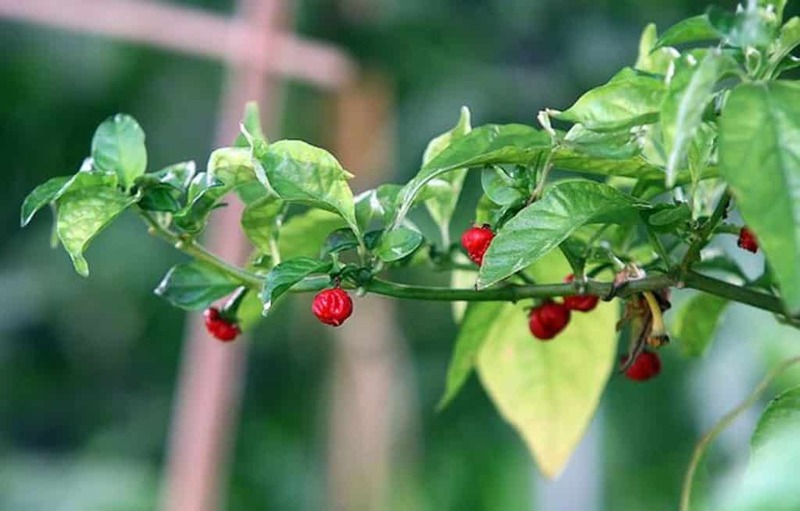 See our full Explosive Ember pepper profile here. These jewel tone conical beauties grow to only an inch in length, though it’s hard to ignore their look. 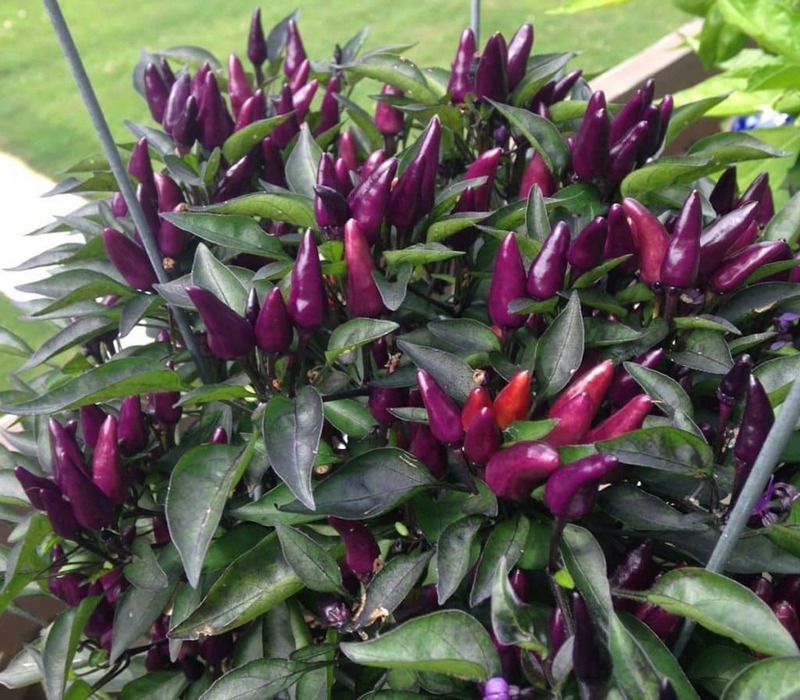 Explosive Ember peppers start a near-metallic purple and age to rich hues of orange and red. 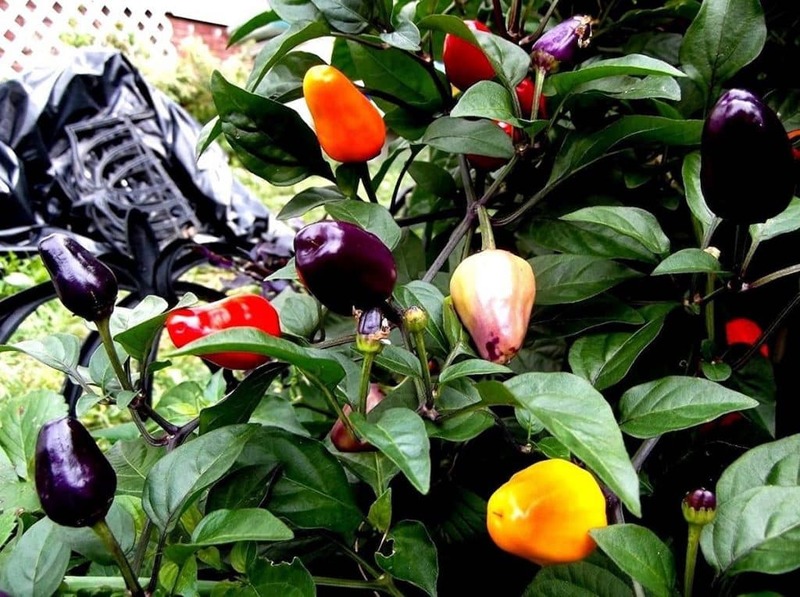 Like other ornamentals, you won’t rave on the flavor, but it’s a fine overall peppery taste with decent cayenne-level heat. 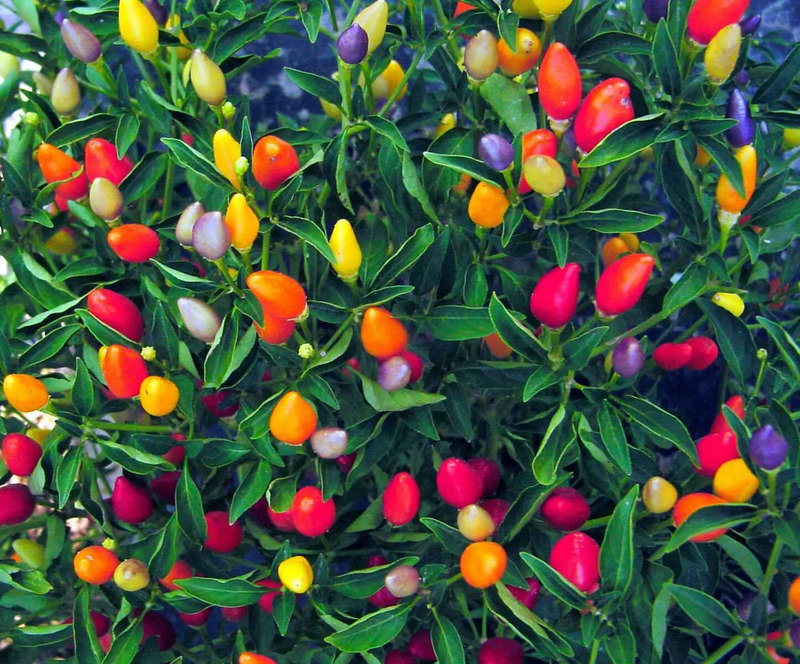 See our full Chinese five-color pepper profile here. 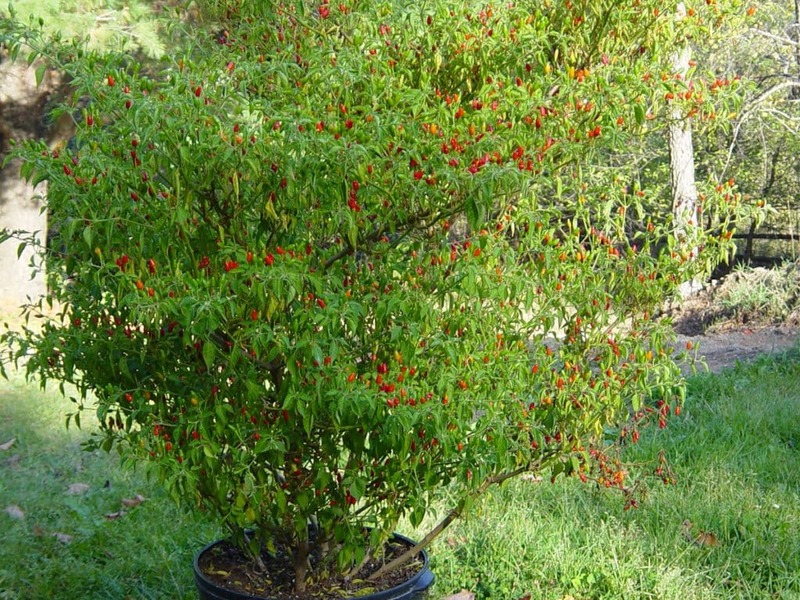 The Chinese 5-color pepper is one of our favorites for planned edible landscaping projects. They deliver in both looks and flavor. There’s lots of color – purples, creams, oranges, yellows, and reds all on the same plant as the pods mature. And unlike other other ornamentals, there’s a nuanced flavor here, a sweetness to the chilies that hints at more tropical peppers further up the pepper scale. Sometimes referred to as the “rice pepper” due to its shape, the pequin is tiny, mighty, and very flavorful. These are small, rounded chilies (more oval than circle), less than an inch in length. 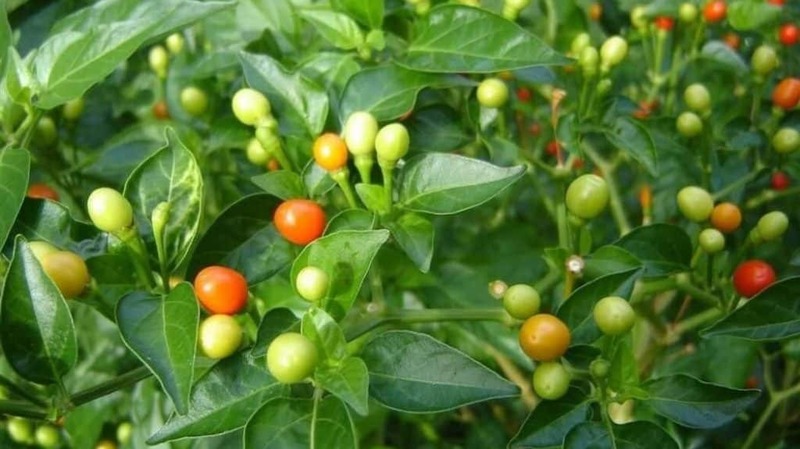 They have a smoky, fruity flavor and pack a top-end medium heat where, at their peak, they’ll surpass the likes of the cayenne and tabasco peppers. A staple in Pakistan cuisine, the dundicut pepper grows to no more than an inch in size. It’s typically used dried and provides a lightly fruity, slightly bitter flavor with a decent punch. In terms of spiciness dundicuts leave popular medium-heat chilies like cayenne peppers in the dust, starting at a heat level 5,000 Scoville heat units (or a whole jalapeño level heat) above the hottest possible cayenne. With one-inch pods that look a lot like colorful Christmas lights, the prairie fire pepper is certainly a popular ornamental chili for those that want a real splash of color. Bright versions of purple, yellow, orange, and red all appear as the fruits mature on the vine. 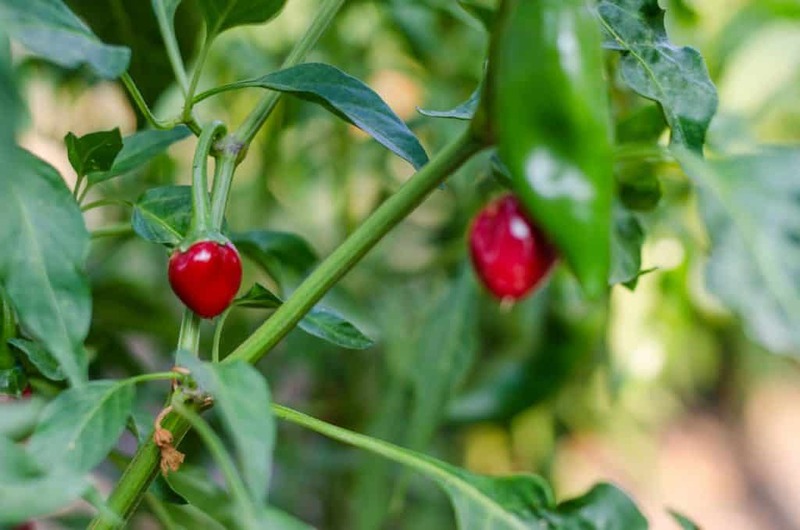 They carry more heat than other ornamentals (double the spiciness of most) and there’s also a bit more flavor – a sweetness behind the pepperiness. The only pepper native to North America, the tiny chiltepin is very unassuming. They grow to only 1/4 an inch in length, making them seem like candy in the hand. But careful popping these peppers in your mouth as there’s significant spiciness behind the small size – reaching up to habanero level heat. There’s a smoky, fruity flavor here too, much like the pequin pepper, but with little less fruitiness. 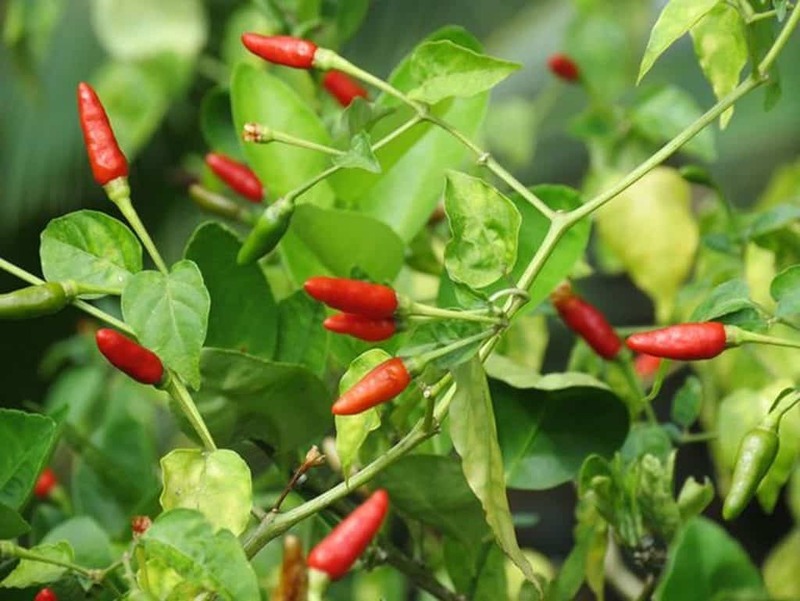 See our full Siling Labuy0 profile here. A popular chili for Filipino cuisine, the the Siling Labuyo are typically around an inch in length – though they can top out a little larger (up to 1.5 inches). They are often confused for Thai chilies, but there’s even more heat here than the typical Thai. In terms of flavor, the Siling Labuyo doesn’t pack a lot of nuance, but there’s a pleasant peppery flavor here. 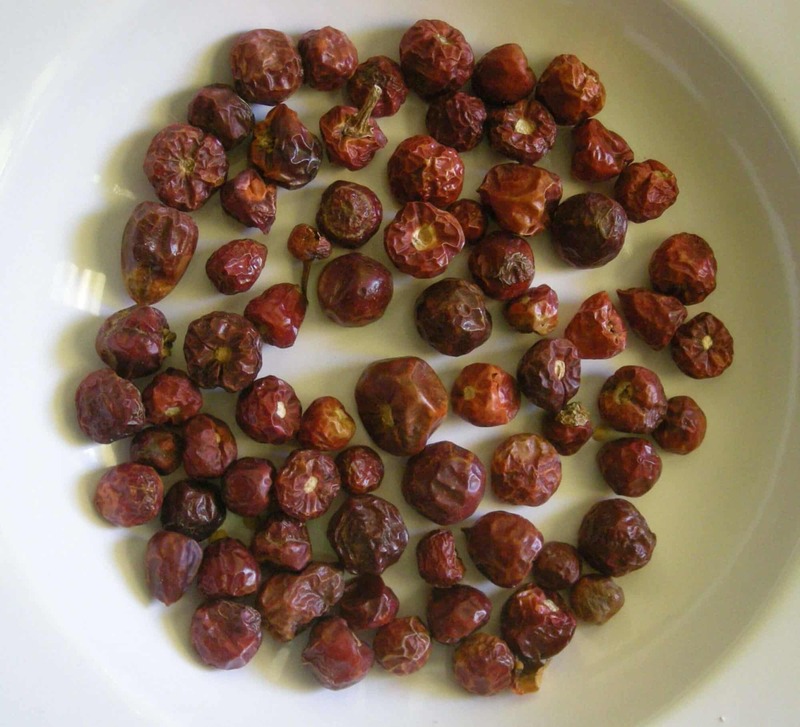 They look like colorful cherries, but you’re in for an uncherry-like shock if you try a Guyanese wiri wiri pepper. These tiny peppers (no more than half an inch across) deliver the same spiciness of a habanero or Scotch bonnet pepper. They share a similar tropical fruitiness to these peppers as well. Talk about tiny things delivering big – the Dragon’s Breath pepper sits right at the top of the pepper scale with the likes of the Carolina Reaper. It’s not officially the hottest pepper in the world, but the top heat recorded to date has it in the conversation. That’s pretty impressive stuff for a chili pepper that’s only a half inch in length.